You can now be at ease selling your watch in Tampa. Associated Jewelers is America’s #1 trusted and respected watch purchasers. We spend thousands of dollars, and in some instances tens of thousands of dollars, purchasing watches from people just like you. We are able to offer high prices thanks to our huge network of dealers and end users who buy preowned wrist watches from us. Associated Watch and Jewelers also specializes in the purchase of modern and vintage luxury watches. Vintage watches with unusual dials, lugs or cases are especially desirable. Premiums paid for: Rolex, Patek Philippe, Cartier, Piaget, Audemars, Chopard, and for watches with original box and papers. Our watch buyers make this process very simple. View a sample list of watches we buy here. 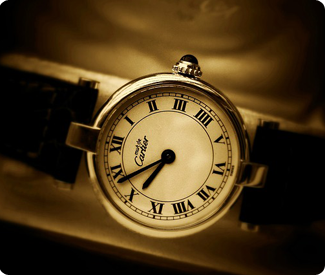 We will promptly provide you with a no-cost, no-obligation watch value consultation. Simply complete our Online Appraisal Form. Our expert staff is always available to help you. Contact us today to discover just how easy selling your watch in Tampa really is.